Des Plaines /dɪsˈpleɪnz/ is a city in Cook County, Illinois, United States. Its population was 58,364 at the 2010 census. The city is a suburb of Chicago and is located just north of O'Hare International Airport. It is situated on and is named after the Des Plaines River, which runs through the city just east of its downtown area. Raymond Albert "Ray" Kroc was an American businessman. He joined the California company McDonald's in 1954, after the McDonald brothers had franchised 6 locations out from their original 1940 operation in San Bernardino. This set the stage for national expansion with the help of Kroc, eventually leading to a global franchise, making it the most successful fast food corporation in the world. 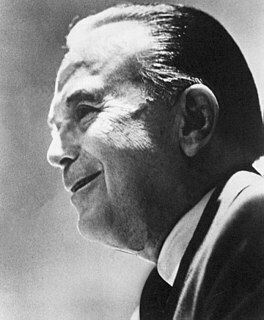 Kroc was included in Time 100: The Most Important People of the Century, and amassed a fortune during his lifetime. He owned the San Diego Padres baseball team from 1974 until his death in 1984. 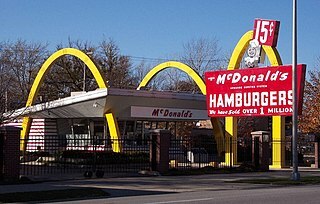 The McDonald's #1 Store Museum is housed in a replica of the former McDonald's restaurant in Des Plaines, Illinois, opened by Ray Kroc in April 1955. The company usually refers to this as The Original McDonald's, although it is not the first McDonald's restaurant but the ninth; the first was opened by Richard and Maurice McDonald in San Bernardino, California in 1940, while the oldest McDonald's still in operation is the third one built, in Downey, California, which opened in 1953. However, the Des Plaines restaurant marked the beginning of future CEO Kroc's involvement with the firm. It opened under the aegis of his franchising company McDonald's Systems, Inc., which became McDonald's Corporation after Kroc purchased the McDonald brothers' stake in the firm. As of the census  of 2000, there were 58,720 people, 22,362 households, and 15,071 families residing in the city. 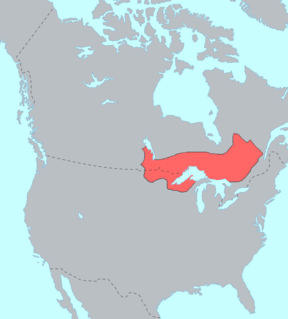 The population density was 4,071.2 people per square mile (1,572.3/km²). There were 22,851 housing units at an average density of 1,584.3 per square mile (611.8/km²). The racial makeup of the city was 84.44% White, 7.65% Asian / Asian American, 0.26% Native American, 1.01% Black or African American, 0.02% Pacific Islander, 4.64% from other races, and 1.97% from two or more races. 14.01% were Hispanic or Latino of any race. A notable amount of Cook County residents reside in unincorporated areas which use a Des Plaines zip code. These areas are densely populated and consist primarily of high density, multi-family housing with a very high percentage of foreign born residents. In the 2000 census  the population of these unincorporated areas of Cook County assigned Des Plaines zip codes was 25,617. This unincorporated area has never been a part of the city of Des Plaines, and the majority of this area is separated from the actual city of Des Plaines by a belt of Forest Preserve lands and a Tollway barrier created by I-294. Methodist Camp Ground, listed on the National Register of Historic Places,  predates the city (founded 1860) and is still active every summer with concerts, day camps, swimming & recreation, picnics, etc. Farmington is a city in Fulton County, Illinois, United States. It is north of Canton, west of Peoria, southeast of Galesburg, and northeast of Macomb. The population was 2,448 at the 2010 census, down from 2,601 at the 2000 census. 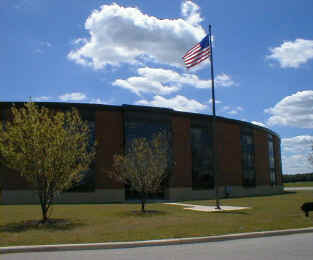 The public school system is Farmington Central Community Unit School District 265, which includes Farmington Central High School. Because it is in Fulton County, it is a part of the Canton Micropolitan Area and the wider Peoria Consolidated Statistical Area. For people with the surname, see Gurnee (surname). Orchard Place, Illinois was a small farming community in Cook County, Illinois, just west of Chicago. Settled by German immigrants in the 1840s, it was known as Farwell before 1886 when the name was changed to Orchard Place. The Post Office opened in 1881 and changed names in 1886. The Post Office seems to have been closed in 1935. It became a stop on the Wisconsin Central Railroad in 1887 and received the name Orchard Place at that time. In 1942, Orchard Place was selected as the site of a new air base and aircraft manufacturing facility, Orchard Place Airport/Douglas Field. After the Second World War, the city of Chicago bought the airport from the United States government and converted it into a commercial airport, Chicago Orchard Field, opened in 1946. The Burlington, IA-IL Micropolitan Statistical Area, as defined by the United States Census Bureau, is an area consisting of two counties – one in southeast Iowa and the other in west central Illinois, anchored by the city of Burlington, Iowa. 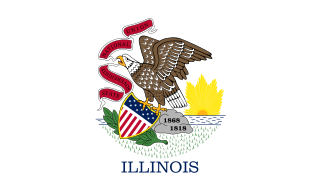 ↑ "U.S. Census Bureau Delivers Illinois' 2010 Census Population Totals, Including First Look at Race and Hispanic Origin Data for Legislative Redistricting". U.S. Census Bureau. Archived from the original on February 19, 2011. ↑ "City of Des Plaines". Geographic Names Information System . United States Geological Survey. 1 2 "Profile of General Population and Housing Characteristics: 2010 Demographic Profile Data (DP-1): Des Plaines city, Illinois". U.S. Census Bureau, American Factfinder. Retrieved February 11, 2013. ↑ Des Plaines Centennial Program (1935). Des Plaines Centennial Celebration, June 25–30. Des Plaines, IL. p. 17. 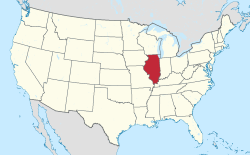 ↑ "History, Des Plaines, Illinois (IL)". City of Des Plaines. Archived from the original on October 12, 2011. Retrieved March 16, 2010. ↑ Des Plaines Centennial Program (1935). Des Plaines Centennial Celebration, June 25–30. Des Plaines, IL. p. 21. ↑ Andreas, Alfred Theodore (January 1, 1884). History of Cook County, Illinois: From the Earliest Period to the Present Time ... A.T. Andreas. p. 493. ↑ Wolfram, C.A. (1885). When Des Plaines Was Young. The Des Plaines Suburban Times. p. 22. ↑ "Des Plaines gets last casino license". Chicago BreakingNewsCenter. Chicago Tribune. December 22, 2008. Archived from the original on February 15, 2009. Retrieved March 16, 2010. ↑ Garcia, Monique (October 6, 2009). "Des Plaines casino construction to start in March, developer says". Clout Street. Chicago Tribune. Retrieved March 16, 2010. ↑ Krishnamurthy, Madhu (January 26, 2010). "Des Plaines planners approve huge casino complex". Daily Herald. Retrieved March 16, 2010. ↑ "G001 - Geographic Identifiers - 2010 Census Summary File 1". 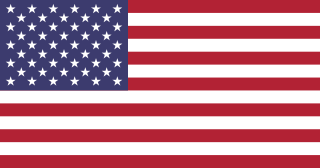 United States Census Bureau . Retrieved December 27, 2015. ↑ https://www.geocaching.com/geocache/GC1JPGG_the-des-plaines-disturbance?guid=8040e282-47ab-44ed-959e-9f81ba3a13fe accessed Dec 22, 2018. ↑ https://www.chicagotribune.com/news/ct-des-plaines-disturbance-20170207-htmlstory.html accessed Dec 22, 2018. ↑ "North America Archived November 28, 2011, at the Wayback Machine ." China Airlines. Retrieved on August 30, 2011. "1011 East Touhy Ave., Suite #110, Des Plaines IL60018"
↑ "北美洲地區." China Airlines. Retrieved on April 24, 2010. "芝加哥營業所 Chicago Mini Office 225 North Michigan Ave., Suite 1880, Chicago, IL 60601, U.S.A."
↑ "Branch Offices North America Archived November 28, 2011, at the Wayback Machine ." China Airlines . Retrieved on January 21, 2009. "Chicago Mini Office 225 North Michigan Ave., Suite 1880, Chicago, IL 60601, U.S.A."
↑ Sammons, Mary Beth (November 26, 1995). "Patterns of the Past". Chicago Tribune . Retrieved December 13, 2018. ↑ Gildea, William (August 6, 1999). "An Heir Apparent Worthy of Hank Greenberg". Washington Post . Retrieved March 13, 2019. ↑ Kimberly, James (January 30, 2008). "Democrats could run veteran against Roskam again". Chicago Tribune . Retrieved April 22, 2008. ↑ Messerly, Megan (October 15, 2018). "Jacky Rosen: From politically invisible to the center of a critical Senate race". The Nevada Independent . Retrieved December 7, 2018. ↑ https://www.imdb.com/title/tt0088847/locations accessed Dec 22, 2018. 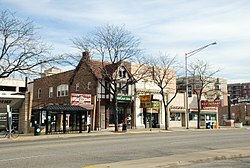 Wikimedia Commons has media related to Des Plaines, Illinois .